League advocacy is carried out by League volunteers. We testify at hearings, provide press conference statements, write letters to the editor and opinion editorials, and submit other written communications to public officials. 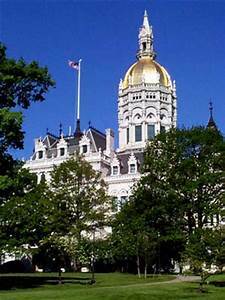 The League of Women Voters of Connecticut (LWVCT) retains the limited services of a legislative monitor to track bills on which the LWVCT has a position. We also retain a part-time, paid lobbyist to support LWVCT volunteers who lobby on LWVCT legislative priorities. LWVCT publishes a Directory of Elected Officials biennally. The League encourages citizens to use the directory as a resource for contacting their elected officials often and let them know what issues they care about. A printed version of the Directory will be available after the results of the special elections are known. For additional information about the Connecticut General Assembly, the legislative leadership, the types of committees and more on the CGA website. A Guide to the CGA Website - A great tool to support effective advocacy. We work for a governmental system that is representative, accountable, and responsive. We work for the protection and sustainability of natural resources. We work for equal rights and equal opportunity for all, and promote social and economic justice and health and safety. LWVCT actively works in coalition with others to achieve our public policy goals. Coalition work can include actions such as participating in strategy meetings, coordinating testimony and/or action alerts, attending meetings with public officials, and participating in press conferences. Coalitions are listed below by policy area; if there is a lead Coalition partner that provides staffing support, they are indicated in parentheses.